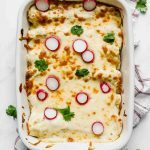 Savory, hearty, cheesy, Skinny Creamy Chicken Enchiladas that can also be meal prepped and turned into a freezer meal. I’m loving that this weeknight dinner is delicious and easy to make! Hey hey, friends! 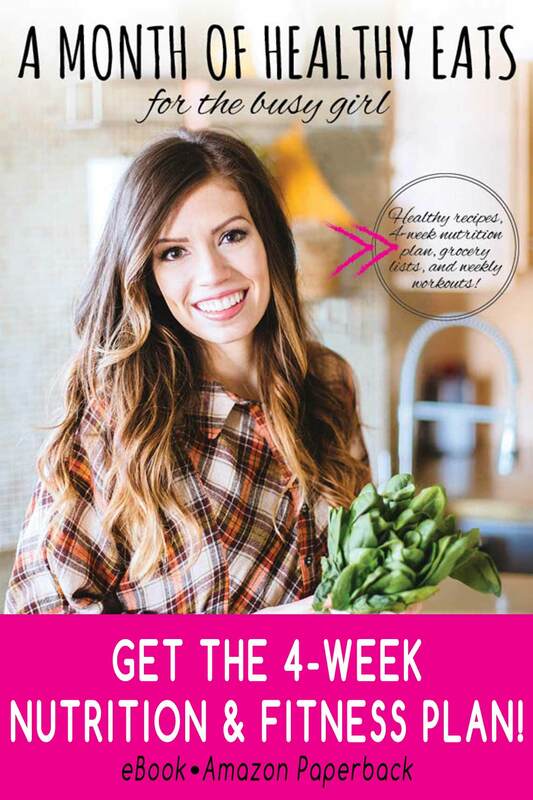 I’m comin’ at ya with another freezer meal recipe today! So far we’ve made Honey Balsamic Chicken & Veggies, 30-Minute Healthy Sloppy Joes Recipe, and Cheesy Chicken Spaghetti Squash Casserole in our freezer meal series. Today, I’m so excited to share my recipe for these Skinny Creamy Chicken Enchiladas with you guys! To be honest, I truly had no idea what an amazing thing the freezer meal world could be. That is, until I made a ton of freezer meals right before we had our baby in July! We’re still living off of those freezer meals (it’s September!) and glad that they were so easy to make and reheat. Have pre-cooked chicken on hand. Mix the filling (enchilada sauce, green chiles, diced tomatoes, greek yogurt, bell peppers, beans, and seasoning). Pour the filling into low-carb tortillas and roll. Place each tortilla in a casserole dish, top with yogurt, cheese, and bake! 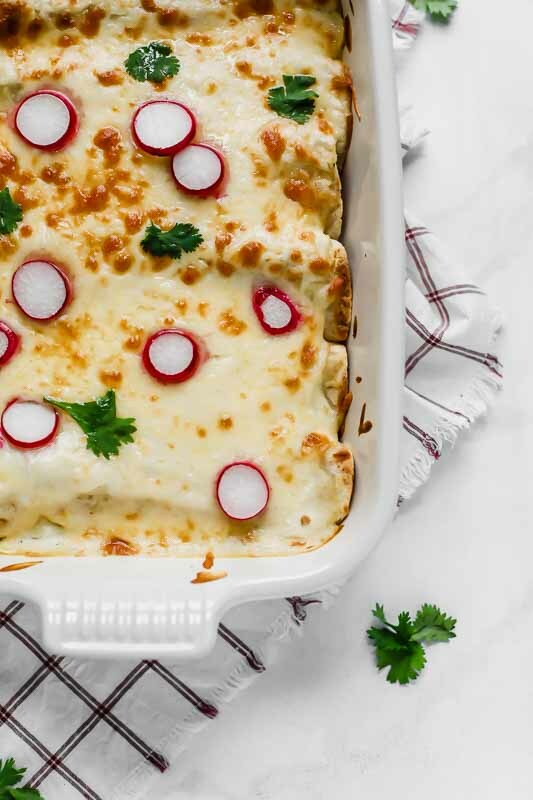 To meal prep, simply make a big batch of these Skinny Creamy Chicken Enchiladas and place in containers in the refrigerator. To freeze, remove the containers from the refrigerator after about 1 hour and place in the freezer! 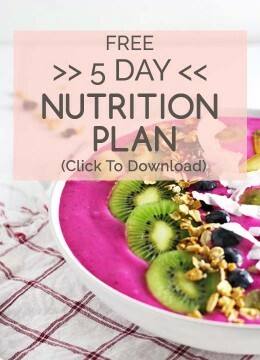 The meal should last about 1 month in the freezer and about 6 months in the deep freezer. I’m loving these Rubbermaid BRILLIANCE Food Storage Containers for storing this recipe in the freezer! Not only are they freezer safe (of course), but also microwave safe, dishwasher safe, 100% leakproof, airtight, and stack on top of each other perfectly. I used the large size for this recipe, but you can check out the entire collection HERE! 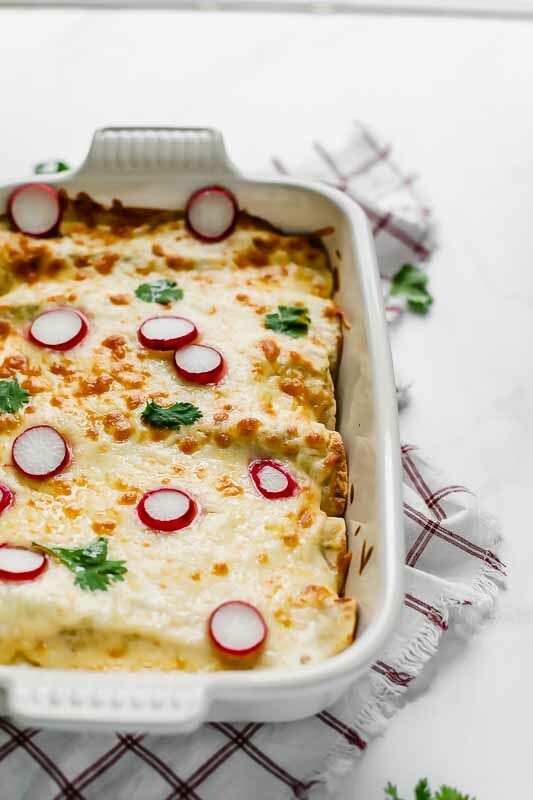 Savory, hearty, cheesy, Skinny Creamy Chicken Enchiladas that can also be meal prepped and turned into a freezer meal. I'm loving that this weeknight dinner is delicious and easy to make! Mix the pre-cooked & shredded chicken, enchilada sauce, chopped green chiles, diced tomatoes, bell pepper, black beans, 1 cup of the yogurt, and spices together in a medium sized bowl. Roll the filling evenly into each of the tortillas and place in a casserole dish. Top the enchiladas with the remaining yogurt, shredded cheese, and optional toppings. Bake for 20 minutes or until everything is hot. Serve and enjoy, or freeze for later! These reheat the best in the oven (350 degrees until the middle of the casserole is hot), but they can also reheat in the microwave!